Madonna and Oprah Winfrey are two of the celebrities that have revealed to their fans and to the world their interest in goji berries, which are part of their daily menu. Since then the popularity of this fruit that delays the aging process due to its high levels of antioxidants, has grown in western countries. Goji berries (lycium barbarum) are red and sweet, resembling a cross between raisins and cherries, come from Northwest China and Tibet and thrive naturally from the Himalayan Mountains and fertile benches of the Yellow River up to Mongolia. They are a source of complete protein, contain 18 different amino acids, 8 of which essential. Goji berries also contain 21 minerals, such as zinc (2mg), iron (9mg, more than meat,) copper, calcium (112mg), selenium and phosphorus (203mg). 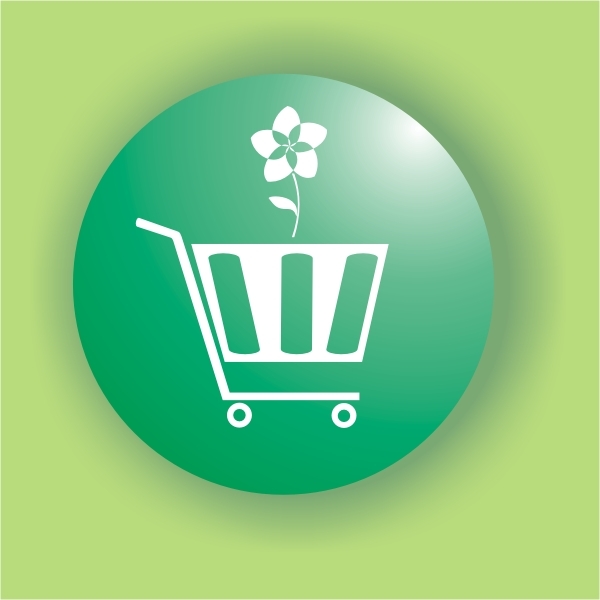 They also provide B1, B2, B6 and E vitamins as well as high levels of C and A vitamins. 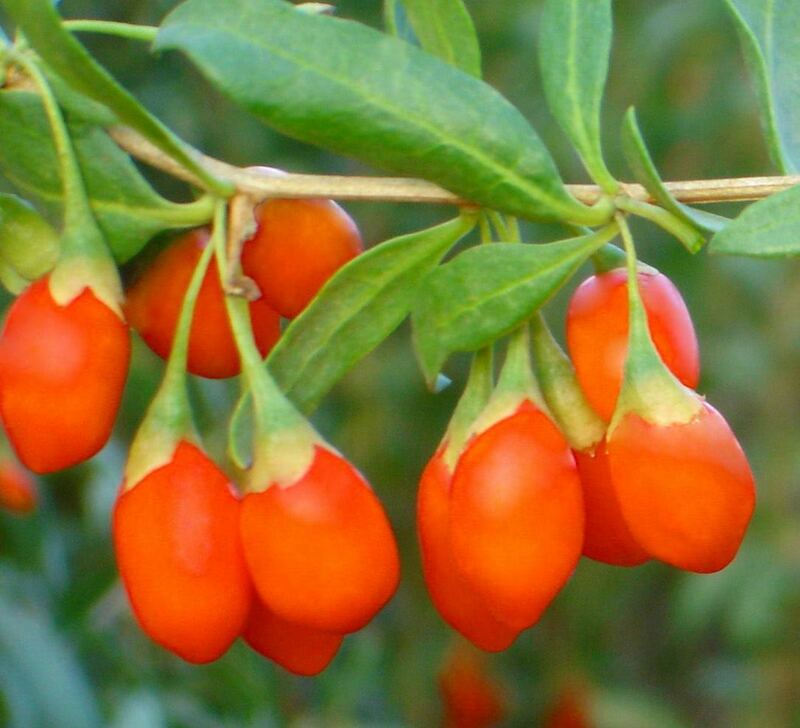 Known in China for many centuries, goji berries have only been discovered recently by western countries. Many allegations have been made about them and little by little science clarifies tradition. Because goji berries are one of the foods that have higher levels of antioxidants, they are world renowned for being anti-aging and aphrodisiac as well as protecting the organism from free radicals. The list of health benefits goes on and includes fighting heart diseases, inflammation, eyesight problems and conditions related to the neurological and immune system. There are also references relating eating goji berries to the improvement of insulin levels and the reduction of cholesterol levels, as well as helping digestion and weight loss. When eaten regularly, goji berries stimulate the immune system thus preventing flu and colds. 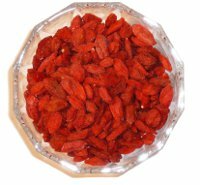 According to a revision of several studies performed in March 2013 by scientists of the Key Laboratory for Space Bioscience and Biotechnology (China) , polysaccharides present in goji berries are responsible for its antioxidant, anti-tumor, neuroprotector, radioprotector, anti-diabetes liver protector, anti-osteoporosis and anti-fatigue activity. The berries are sold dry and can be eaten plain or added to yoghurt, mueslis, fruit or vegetables salads, smoothies, bread or cake dough or other food as other dried fruits. You can also use them to prepare jams, puddings or vegetable jellies. Goji berries can also be soaked and rehydrated to obtain a texture close to the fresh fruit. An infusion of goji berries is as excellent mind soother. They can be eaten by all age groups and by people with any conditions, including pregnant women and children. As goji berries are very tasty, they easily please. Although you can eat them at will, the ideal dose is about 1 handful, that is 20 to 40g daily. Goji berries are a practical and nutritional food for a snack at home, at school or at work and a excellent way of eating more fruit. To better preserve its properties they should be kept in a cool and dry place in the package or in a well closed jar.